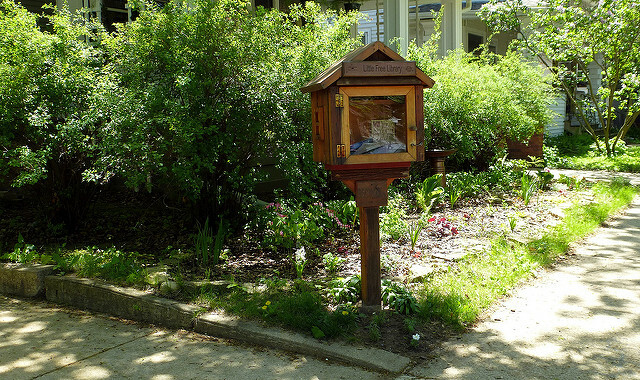 In our neighborhood we have one of those “free library” book boxes where people can drop off used books and pick up a new one. My seven year old makes regular pilgrimages to the box, because she loves to read (like her daddy). And she’s cheap (like her daddy). So win win. That’s adorable. Shut up. Yes it is. We need to see harder. When we’re preparing our facilities for company, we need to take notice of the trash and the clutter. We need to see harder. When we’re reviewing our systems and strategies for our guests, we need to make sure they are serving them and not us. We need to see harder. When we’re making our way down the sidewalk on a Sunday morning, we need to watch out for those who are alone. Those who aren’t being engaged. Those who seem disconnected. We need to see harder. When we’re bemoaning our lack of volunteers, we need to keep an eye out for those who may want a place to serve, but just don’t know what is available to them, their skill set, and their schedule. We need to see harder. Seeing harder takes effort and energy. It means we keep going after we’re tired. It means we persist after others give up. What do you need to see harder this week?